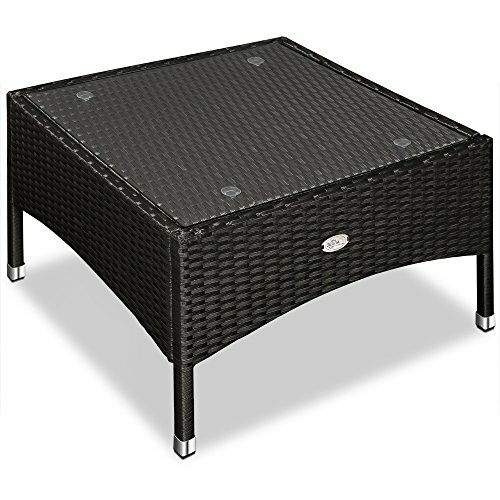 Appealing polyrattan side table gives your living ambiance a very special flair. The table is equipped with a high-quality glass plate it offers enough space and is easy to clean. The table is made of UV-resistant polyrattan – so you will be pleased with this table for a long time.